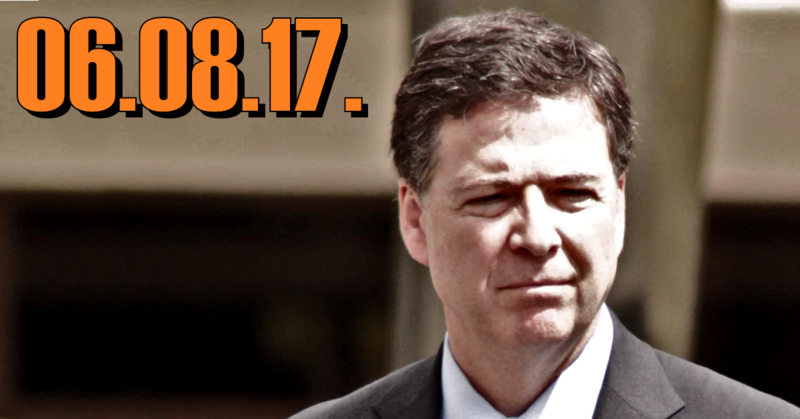 This week on Middle Theory, we cover the testimony given by former FBI director James Comey, given before the Senate Intelligence Committee on June 8, 2017. Kicking things off, we pick up where we left off last week with an update on the Evergreen State College situation, which includes the release of a 911 call audio where a purported gunman (later deemed to be not credible) threatened to visit the campus with a weapon. This brings us to further discussion about social justice issues and race relations in America; to contrast this, we take a look back to the 1990s, and the famous Waco Texas, Ruby Ridge, and Oklahoma Federal Building incidents. Then, we turn our attention to Megyn Kelly’s interview with Vladimir Putin, and how the views between “East and West” continue to contrast and conflict. However, the big news of the day involves the testimony given by former FBI director James Comey, given before the Senate Intelligence Committee on June 8, 2017. We give a complete breakdown of the highlights, and the big takeaways from the hearing, as well as some of the analysis that followed. Has James Comey fundamentally changed the playing field as it relates to the ongoing controversies with President Donald Trump? This entry was posted in Podcasts and tagged Donald Trump, Evergreen State College, James Comey, Megyn Kelly, Vladimir Putin by Micah Hanks. Bookmark the permalink. The folks at the Political Compass have solved the circularity illusion of a one-dimensional political continuum. They created a political map composed of two axes labeled the economic scale (X-axis) and the social scale (Y-axis). Where do you alight on the map? I regret to inform you guys I can not listen to your show anymore because of this new scientific research that proves listening to Beethoven makes people smarter, I have burned all my books, my Kant and my Wittgenstein, I no longer will be pursing intelligence as the false enlightenment through education and information, I will from now on do nothing but listen to Beethoven…Suckers hahhahhaha while your philosophizing with the BBB’ers I’ll be sipping pinna coladas and inventing new ideas with Hockins and Degrassy. Really though on the above based on my personal experience music is the reason most people are dumb. I watched this very enlightening video and one person commented can you imagine if people pressed play on one of these every time they were going to press play on some bands music page how much more intelligent our society would be? I have almost all but eradicated music from my ipod and even lost my love of playing guitar because I found music does nothing more than exactly what people accuse the television of trying to do. That is shove idealist messages down our throats by synchronizing our heart rhythm to its beat (trance). I agree if you want to change your mood by all means put on some uplifting music. But music offers nothing of an intellectual value at all that is complete pseudoscience probably backed by record companies. I am a fan of good writing, not even great. If you read songs without the phrasing and inflection they come off as terrible childish poems. It is only because of our culture propaganda that people believe music is more. The fact that this pseudoscience can be presented and not have a flood of opposition just proves how effective music is as an idealist tool of manipulation. And don’t let me get on some one again trying to say music is spiritual when they have to take three different drugs or get obliterated on alcohol just to enjoy it. I get sick when I hear politicians read rehearsed idealist 4th rate 3rd grade level idealistic no meaning pander poetry, but I also vomit in my mouth when I hear musicians doing the exact same thing??? People are always shocked when the have asked W.S. Burroughs about music and he said he don’t listen to music. And it is no wonder why he is the most influential and intellectually stimulating of all the beat writers. He didn’t waste his time worshipping crib jingles because the radio man said how cool it was. I know Micah plays I’m not taking any shots at my main man I’m proving we can be honest and still get along we don’t need a society of pandering and white lies unless it is a democracy then that is all you can do. I’m positive Micah doesn’t think he’s some Apis up there on a stage but most musicians do and so does their audience. Just watch the gross fan video Beyoncé made crying into her computer “God why did you choose me?” Really god is some fat bald record exec go figure.